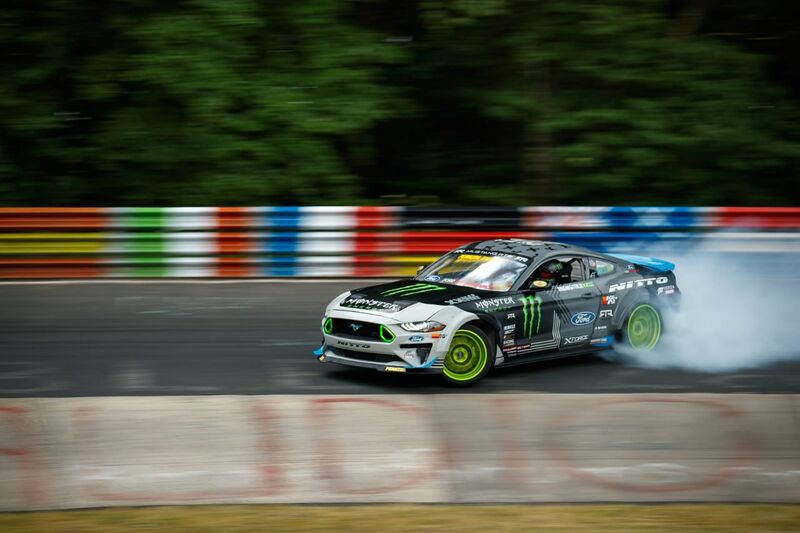 A 900hp Ford Mustang RTR has become the first car to drift around the full length of the 20.8km Nurburgring circuit. There have certainly been faster and more efficient laps of the Nurburgring, though Vaughn Gitten Jnr.’s drifting lap of the 20.8km Green Hell is still a record-breaker. Gitten has become, in his 5.0-litre Mustang RTR the first person to lap the entirety of the circuit through the medium of drifting. For safety reasons, it’s usually forbidden to drift on the Nurburgring, though some drivers have drifted sections as demos. The only casualties this time however, were the three sets of Nitto tyres and a drone that was destroyed during filming. The slow time doesn’t bother Gitten who says that the record attempt was about having “a good time, not a lap time”.